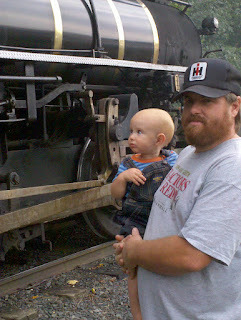 Frugal Tractor Mom: The Train! The Train! 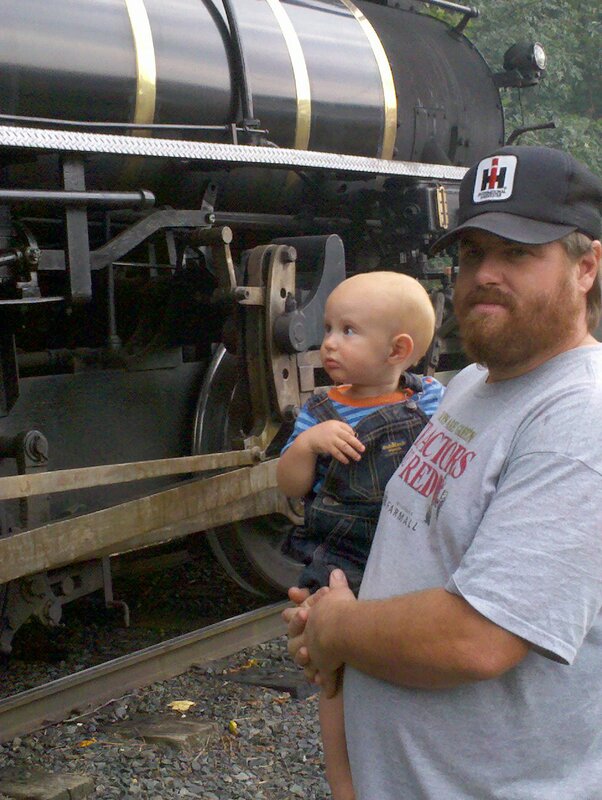 Denton Farm Park has a steam train that travels around the park throughout the day each day of the Southeastern Old Thesher's Reunion. You can hear the train everywhere in the farm park. Hamp was curious about the sound of the train horn. 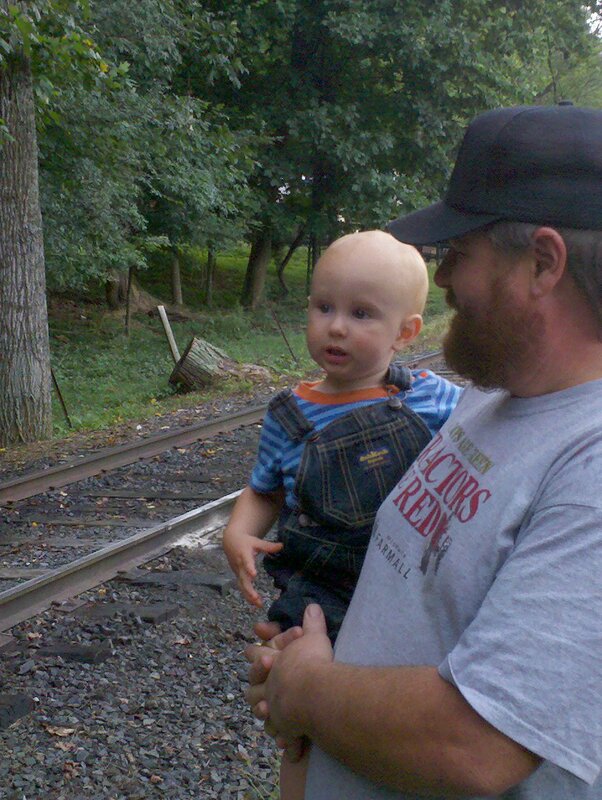 We took him over to watch the train come into the station. His facial expressions say it all! 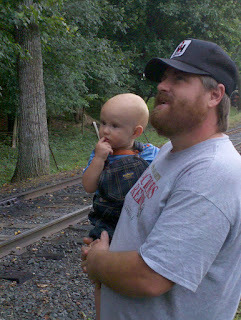 The whole time at Denton, Hamp would point and say, "Ain" every time he heard the train whistle. I think I have another train "freak" on my hands! Not the same look he gave Miss America. There are a lot of different kinds of love.